Roaring Lion shot to the head of the Queen Elizabeth II Stakes betting when confirmed for the race over the longer Champion Stakes. He's now no bigger than 5/2 with William Hill to win the QEII, however, the ground is still not in his favour, regardless of distance, and we fancy another bet to have in the QEII. What is the QEII Stakes? The Queen Elizabeth II Stakes is a Group 1 run over a straight mile at Ascot on British Champions Day. It's been a Group 1 since 1987 and is now worth a whopping £1.2million, the likes of Brigadier Gerard (1971), Dubai Millennium (1999), and the spectacular Frankel (2011) on the honours list. 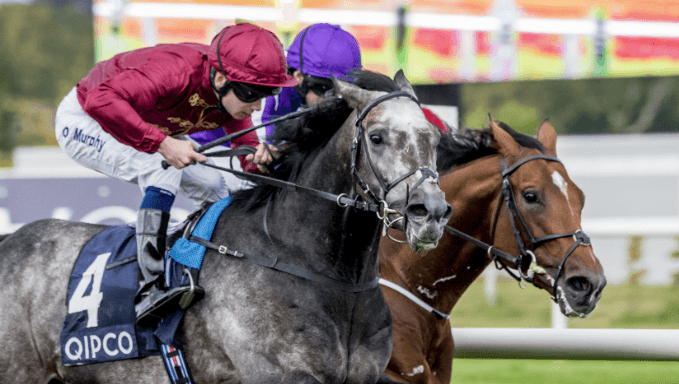 Right up until the favourite's confirmation for the race, bookmakers couldn't split the top trio, Roaring Lion, Recoletos and Laurens, with all of them arriving at Ascot this Saturday at the top of their game. Roaring Lion has kept improving throughout the campaign, establishing himself as the leading colt of his generation, with spellbinding performances. He looks the one to beat and his form makes his odds, 5/2 with William Hill, look very generous in the QEII betting. Recoletos (nap) ran well in the British Champion Stakes when fourth to Cracksman last year, on similar ground to what he will encounter this Saturday. His Royal Ascot performance can be forgiven in the Queen Anne over this course and distance, and he comes into the Queen Elizabeth II Stakes off the back of a good win in the Prix du Moulin at Longchamp. Of those at the shortest odds, he looks the best bet at a best price of 13/2 with Paddy Power, his trainer Carlos Laffon-Parias hoping the two-time Group 1 winner can land the QEII over the same distance of a mile. Laurens has been one of the toughest campaigners this year, landing four Group 1s, and looked to still be progressing when taking the Sun Chariot Stakes at Newmarket earlier this month. She will need more to topple the colts, whom she races against for the first time, but will give punters a run for their money at 6/1 (Paddy Power). Soft ground performers will be brought up constantly in the build-up and two such names to have prominent profiles are Addeybb and Lord Glitters. The former, trained by William Haggas, beat the latter on their first start of the year in the Lincoln Handicap at Doncaster in March, before going on to victory in the bet365 Mile, a Group 2, at Sandown in April. Addeybb then disappointed in the Lockinge Stakes at Newbury behind Rhododendron, but that came on fast ground and, despite returning from a 154-day absence, there is no issue with his capability to run well fresh so 8/1 (bet365) could prove enticing. Lord Glitters (7/1 Paddy Power) handles all types of ground, but will be seen to best effect tackling the softest ground he has encountered since Doncaster. David O’Meara’s grey was a memorable winner of the Balmoral Handicap on this card 12 months ago, eating up the ground in the last furlong to nab GM Hopkins. Since then, he has placed twice in Group 1 company, including at Ascot when second in the Queen Anne Stakes, and this has likely been the long-term plan with conditions to suit. If Lord Glitters makes plenty of appeal at 7/1; Century Dream (nb) cannot be ignored at 18/1 with Bet365. Simon Crisford’s colt came through the handicap ranks as a three-year-old before building on that with Group 3 success at Epsom on Derby day. He ran a fantastic race in the Queen Anne, finishing a length fourth on ground faster than ideal. He was last seen in the Arlington Million over 1m2f finishing an honourable third, before being placed fourth after an objection was made to the stewards, but the son of Cape Cross has been freshened up with this race in mind. He will definitely be suited by the drop to a mile, and, considering his form with several who are shorter in the market, looks the most overpriced contender in the field.